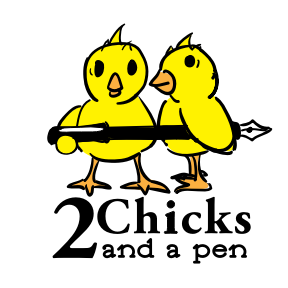 This pic says so much about the stories and adventures of Chick 1 and Chick 2, aka KT and Beth. Is it worth a click? A pic is like a piece of chocolate in today’s internet-crazy world – tempting. One picture can make or break person’s image online. One picture can lure someone to to the darkside. One picture can get a click, a like or go viral. Just one click. Just one pic. Enter the above picture. Grainy at best. Boring to some. Intriguing to others. A Thelma and Louise duo of sorts. Two trailblazers setting out to tackle whatever life throws at them. Today it may be a road trip but tomorrow it could be a covert operation. Is that an exaggeration? Maybe, but that is what #1095Days is all about. The ups, the downs and everything in between that these two muddle their way through on the daily. Endless opportunities right there in the front seat. The pictures captured are part of the stories. No two days are the same. This pic will be a story told in our upcoming project. A sleuth adventure that neither planned. An adventure that could have left them both in tears but instead it was met with smiles and a “we got this” attitude. Look again at the pic. KT has a devilish smile as she snaps. Beth has a look of horror as she focuses on road ahead. Enter the hoodies, a dark night and a zest for life, the duo took on the adventure ahead including sleuthing. True badassery if I do say so myself. Of course, they found time to stop at Starbucks and fuel their adventure before the suburbanites hit the road. Sorry to leave you with a cliff hanger but that is how the #1095Days project was designed. As the new day appeared the duo met up at their local gym for an action shot as a fellow gym goer took a pic of the two authors side by side. Normally the Chicks work out at different times but there is one day a week that their schedules collide. It’s a Saturday and both had separate workouts but put in an extra cardio session together. Once again solidifying the adventures of the dynamic author duo. Bound together like book bindings. True adventurers. Another in our #1095Days. My Peach(tree) story began in Atlanta, GA in 1997. I wasn’t a runner but a friend asked me to run the Peachtree. What was the Peachtree? Well it is only the biggest 10k Road Race on the planet. So I did it. No training, just did it. The internet wasn’t so big back then so I don’t even know how long it took me to complete the race. All I know is I conquered the challenge and moved on. I was a one run wonder. 1998 was a new year with new adventures and the Peachtree hype faded in a blink of an eye. I wasn’t a runner, I didn’t grow up in Atlanta and I just didn’t have a fit circle of friends who ran the Peachtree each year. Over the next 20 years, I climbed the corporate ladder, I had a few kids, I raised a child with health issues, and I worked hard at being a mommy and a wife yet something was missing. What was missing? ME time. I learned to prioritize and put everyone around me first, before me! I see this happens to many women (not men) but women. I had tried to lose weight in those years, I tried to live an active lifestyle, I tried and tried but I never made me a priority so failure was always around the corner. How could I be the best version of me and show my kids how to be fearless? I had to reinvent myself. Some would judge me, some would defriend me, and others would support me. I guess this is where you really find out who your true friends are. As I make changes in my life, I find myself seeking out new adventures. And with new adventures come new friends. I would meet new friends with similar interest and goals. I had always told my kids and employees that you become what you surround yourself with. And it’s true: spend all your time around negative people, you will be negative. Spend all your time around lazy people, you will be lazy. Spend all your working hours with those comfortable in dead end jobs, you will find yourself right there with them. This isn’t what I wanted in my future. So I changed my scenery. Slowly but surely. Out with the old, in with the new. Fast forward to December 2015. I found a gal pal who was willing to work out with me consistently at 5:30am at a gym in between our homes. Why so early? We had to go before the kids had to get on the bus so we didn’t take any time away from our husband (hmmm) and then before we had to work (yes we had full-time jobs in addition to being full-time mommies). We pushed each other, we relied on each for accountability and we got in 1-2 hours of gym time 3-5 days a week. This was huge for us. But we were both moms just relying on the internet or friends for workout advice. We met people at the gym that marveled at our consistency and progress but we eventually hit a plateau. We considered kick boxing, a personal trainer, a boot camp but nothing jumped out at us or gave us a spark to change. We finally saw a Facebook ad for Crossfit at a local box for women only in a trial boot camp. We said let’s give it a shot. It was whimsical. We were not in the worst shape when we got there but we certainly were not near the cream of the crop either! And we said holy cow what if we never worked out before we came here? We would have died! Seriously. We have an amazing circle of friends at our Crossfit Box, Crossfit Pure. We had a silly, sweaty, giggly breakfast recently to celebrate one of the girls’ birthdays. In this picture, you see four different women, from four different backgrounds. Our work on fitness has united us, building friendships that will last for years to come. You see different shapes, different sizes, different occupations. We all sweat the same. We all do the same work out. We are in it together. This picture says so much about strong women. Anybody can get their start in fitness. You just have to get off the couch and work it for you. Nobody else. But hopefully you’ll have a group that celebrates and sweats along side you. The 2 chicks give a shout out to other two girls in the pic, Sarah and Maddy, and the many other strong women who inspire us daily.